The New Hampshire Primary is set to take place on Tuesday. The event kicks off a series of primaries leading up to Super Tuesday, effectively setting the stage for presidential nominees to be chosen. Both parties saw an impressive turnout for Monday's Iowa Caucus. 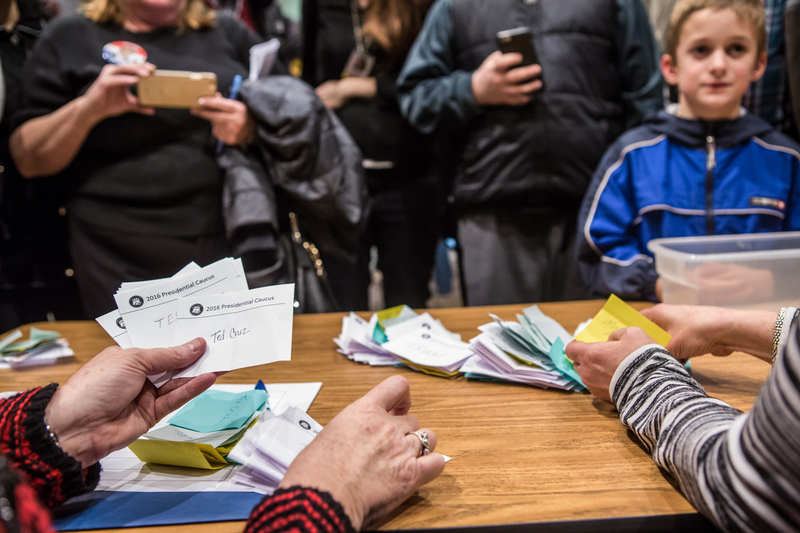 A record amount of GOP voters clamored to cast their vote in the Hawkeye state for the likes of Ted Cruz, Donald Trump, and Marco Rubio while an influx of Democratic voters pushed the tight race between Hillary Clinton and Bernie Sanders even closer. The two were nearly tied, with Clinton narrowly eking out a victory after a final tally. Tuesday's primary is set to garner just as much interest. Just how many people are voting in the New Hampshire primary? Secretary of State Bill Gardner is anticipating similarly high numbers in his home state of New Hampshire. Gardner is estimating around 282,000 Republican and 268,000 Democratic votes being cast during this inaugural primary of the 2016 election season, putting the total number of votes at 550,000. That number reflects approximately half of the total overall voting population. If Gardner's prediction holds true, this year's New Hampshire primary would eclipse the record-setting 526,521 voter turnout in 2008 which saw more Democrats voting than Republicans. An unprecedented 287,542 voted on the left while conservatives saw a total turnout of 238,979 voters. Candidates are avidly campaigning in the Granite state despite frigid weather and snow that makes Punxsutawney Phil's prediction of an early spring seem downright ludicrous. Conditions forced Trump to cancel a planned town hall set for Friday in Londonderry and reschedule it Monday instead. The event will fall just one day before the primary and may not be enough to shift Republican momentum away from Iowa Caucus winner Cruz and towards the Donald. New Hampshire voters will still have an opportunity to let their voices be heard no matter the weather, as the primary allows for absentee voting. According to a recent NBC/WSJ/Marist poll conducted earlier in the week and released on Friday, Trump appears to still be the primary frontrunner and is polling at 30 percent. Rubio trails substantially in second place with 17 percent, followed by former neurosurgeon Ben Carson. Meanwhile, that same poll shows Sanders holding a substantial lead against Clinton. The senator from Vermont is reportedly beating his fellow presidential hopeful by 20 percent and is expected to finish out with over half of the Democratic votes. No matter how many are cast, that win may mark a substantial turning point in an election that continues to surprise the American public.